To help with the demand for Scouting in the area we have recently started an new Beaver Colony and are planning on a second Cub Pack. We have the hall capacity, the equipment, the training and the funds but we are missing the most essential ingredient … YOU! 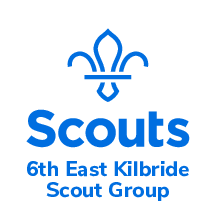 There are simply not enough leaders to facilitate all the young people that want to join us, a reflection of our success, which means many young people will not be able to have the opportunities Scouting offers in your area. With your help or perhaps someone you know, we can solve this problem. Being a Scout leader is an unbelievably rewarding experience. You have the opportunity to see young people develop and grow, often in a completely different environment than they are accustomed to whilst having a fantastic time. Wouldn’t you love to help your kids ditch the screens and get outdoors: kayaking, climbing, hiking, meeting new friends and having a blast? You even get to join in and experience “quality time” that neither of you will ever forget. The great news is that NO previous Scouting experience is needed. Energy and enthusiasm are the main qualities we are looking for and you would be amazed what skills we can use. You don’t have to be an adventurer like Bear Grylls. Do you have first aid knowledge? Are you good with numbers? Handy in the kitchen? Or are you a DIY whizz? We all have useful skills and you can volunteer and help in many ways. The Scout Association has an award winning training programme and we will provide all the support you need to take part in our adventure. There is a range of age groups from 6 -18, we will help you find the section that works best for you. Over 90% of our volunteers in the UK believe that the skills and experiences they have gained through Scouting have been of relevance to their working or personal lives. In a 2013 independent study, 41% of employers said that if an applicant was a Scout volunteer it would positively influence a decision to employ them. Training in Scouting has also enabled volunteers to become associate members of the Institute of Leadership and Management and the Institute for Training and Occupational Learning. What are you waiting for? As a leader, you will get more out of Scouting than you will ever be able to put in. Why not give it a try!